Plans to generate electricity from the world’s first series of tidal lagoons have just been unveiled in the UK. Mr Davey told BBC News: “I can’t make a decision on this yet because discussions are ongoing. But I’m very excited by the prospect of tidal power. 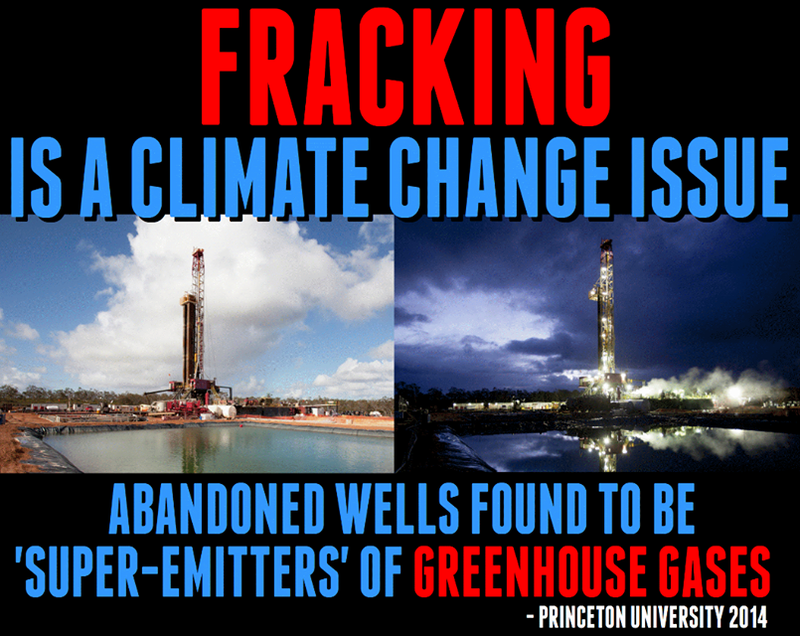 Fracking is a Climate Change Issue. Each fracking well produces a tiny amount of gas – thousands of wells are required in order for companies to attempt to make a profit.Up to 95% of a well’s gas is released in the first 3 years, wells are then routinely abandoned. There are currently 3 million abandoned wells in the U.S. and recent research from Princeton University suggests each and every one is very bad news for us and our rapidly changing climate. NO MEETING THIS WEEK ! Unfortunately all the usual facilitators of the WAF meetings are not available on those evenings. We took your suggestions from last couple of meetings to the monthly Frack Free Dee (FFD) meeting last week. There are now many actions being progressed through the FFD coalition and we will feedback the results and any opportunities to get involved as events arise. – Engage with everyone & anyone on the issue, lets have the ‘did you know…’ conversation as often as possible, and make sure you bust any myths that people are still believing, & empower people with the truths of the issue. We are looking forward to regrouping in March with the next leafleting campaign, public speeches, and how we are moving forward united. Fracking company Cuadrilla delays fracking applications – plunging Lancashire residents into further uncertainty. Yesterday saw Preston fill with concerned people from across the UK, they had travelled from the early hours to come together to support Lancashire, as the council went into a meeting with Cuadrilla to decide if they would be the first UK county to allow fracking to start. There had been strong signs that the decision was going against Cuadrilla. Last week the council’s own planning officer said the applications should be refused. 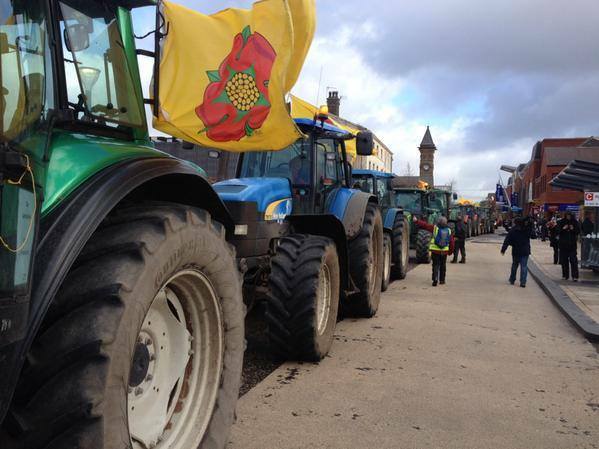 Cuadrilla then asked for a late deferral – despite having had months to prepare its case. 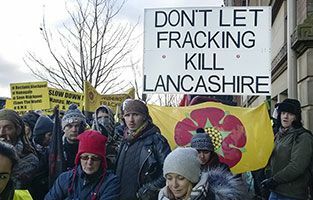 Yesterday, after a few hours of a private meeting, Lancashire council called the planned two days of talks short and deferred the decision about permission to frack for another 2 months. 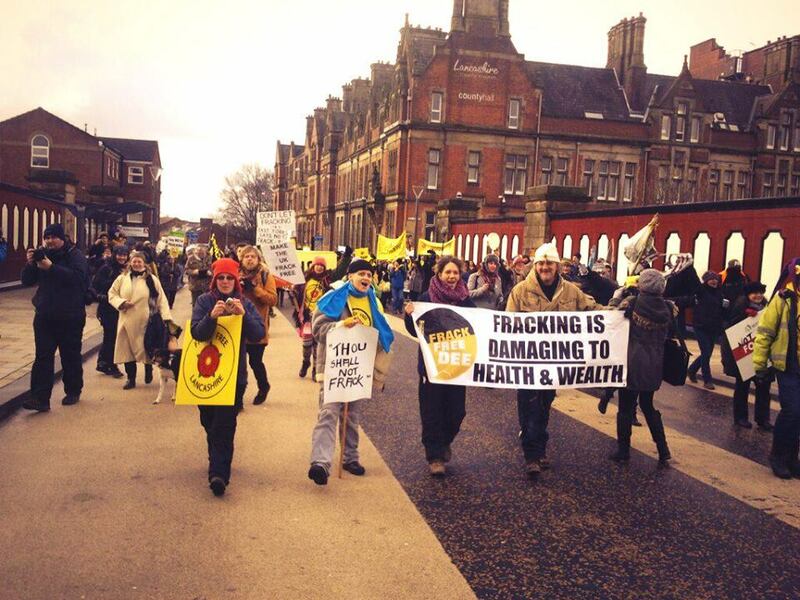 Cuadrilla’s use of the planning system has created more uncertainty for communities – people whose health and environment are at risk from controversial fracking. Widespread public concern clearly helped force Cuadrilla onto the back foot and made it difficult for the council to find in its favour. More than 25,000 people have signed a petition to Lancashire Council leader Jennifer Mein calling for the applications to be refused. Early this week many residents, businesses and community groups wrote to councillors opposing fracking. 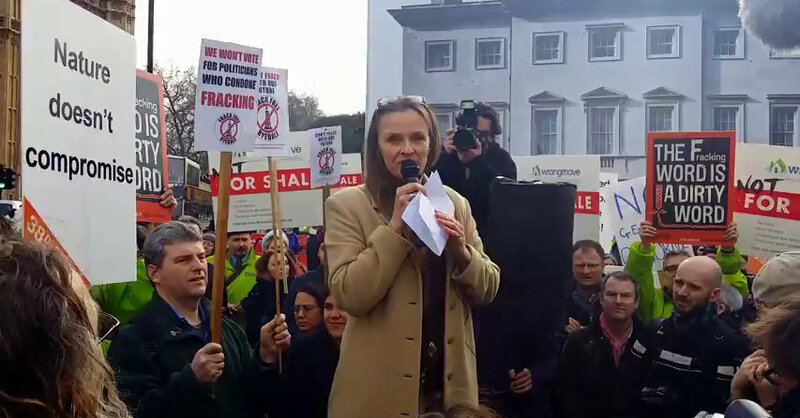 Earlier this week Friends of the Earth exposed the level of collusion between Cuadrilla and the Government. A leaked letter from the Chancellor George Osborne revealed plans to push through fracking in Lancashire even if the council rejected Cuadrilla’s applications at this stage. The Environmental Audit Committee has recommended that fracking should be put on hold in the UK because it is incompatible with our climate change targets and could pose significant localised risks to people and the environment. The Community spirit was strong yesterday in the gathered crowd outside the Lancashire Council offices, as it was in London on Monday outside Parliament. People are standing up to insist that their views are heard… the more the merrier… together we stand strong in solidarity and the protection of our future. MPs vote on Infrastructure Bill & A freeze on Fracking. Monday saw our MP’s in Parliament voting on the Infrastructure bill and a motion to call a moratorium to freeze fracking (a delay of 2.5 years to gather evidence). Many people of the UK watched in hope, but were saddened by the resulting all too predictable sham, with Labour abstaining from voting. The debate was farcical – so little time was given that we weren’t even able to bring the trespass amendment to vote. That amendment sought to prevent fracking companies being awarded sweeping new powers to frack beneath your home without your consent – a move opposed by 99% of respondents to the Government’s own consultation. It was backed in a petition by 360,000 people. When it came to a freeze on fracking, Labour abstained. Instead they served up their own superficial tweaks, lacking in detail and riddled with loopholes. The strength of public feeling on this issue is palpable – and I think it’s intensified still further in the face of the astonishing lack of transparency, lack of accountability and lack of regard for the views of voters. Thanks to all who rallied with us today – absolutely amazing support. Outside there was an amazing turn out at the solidarity rally in Old Palace Yard, where we had some great speakers and Vanessa Vine shared messages of solidarity from Josh Fox, and other protectors from around the world.